Having accredited first aid personnel present at all sport and recreational events is vitally important. 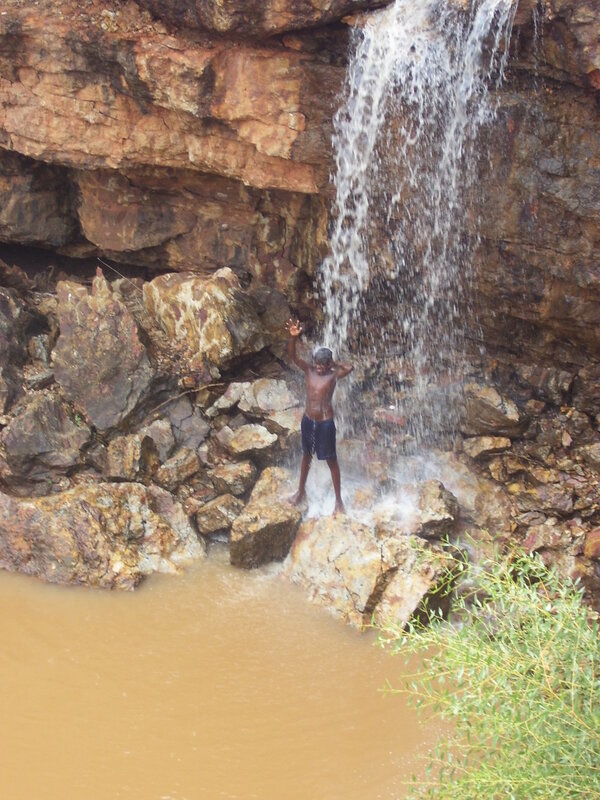 In the Kimberley region, environmental factors such as heat, humidity and the prevalence of water-based activities provide additional risks to sport and recreational programs and must be equally considered. The St John Ambulance first aid course covers a broad range of topics to enable participants to confidently manage emergency situations, providing care for ill or injured until medical aid arrives. For more information on course availability you can visit the St John Ambulance WA website or contact your local Garnduwa office. With the hot climate and abundant amount of water ways in the Kimberley region, many sport and recreation activities are based around beaches, pools, rivers, creeks and gorges. The training programs educate participants on identifying and avoiding potentially dangerous situations and how to manage injuries. The Royal Life Saving Society of Western Australia is one of Australia’s leading first aid and aquatic safety educators. Aquatic safety courses are delivered on a regular basis both in the metropolitan region and in regional areas. Umpires, referees and officials are critical to all sports. Officiating is a great way to be involved in structured sport and there are opportunities for remuneration through various sports. Officiating accreditation courses require participants to be assessed and to meet certain competencies. There are pathways available for talented officials in various sports. Elite level sports require officials to be able to officiate at an elite level. The staged accreditation process is designed to provide officials with the training and knowledge required to officiate high-level competitions. Representative carnivals and regional, state and national carnivals are good opportunities for officials to gain experience at a higher level of competition. For more information on the accreditation process for any sport contact your local Garnduwa office or visit the state sporting association website appropriate to the sport in which you are interested including AFL Football, Basketball, Netball, Soccer, Softball and Cricket. The Level 1 General Principles Coaching is aimed at coaches working with children. There are five modules in the course and it takes approximately 6-8 hours to complete. The Department of Sport and Recreation delivers this course in towns throughout the Kimberley or it can be completed on-line at the Australian Sports Commission website. Once competency has been established participants will be issued a certificate outlining the accreditation. For more information on the general principles course contact Dean Holder from Department of Sport and Recreation Dean.Holder@dsr.wa.gov.au or your local Garnduwa office. The sport specific component of the Level 1 coaching accreditation focuses on the teaching of skills, techniques and strategies in your chosen sport of preference. The sport specific course has a theoretical and practical component. The AFL Level 1 Accreditation is delivered annually in the Kimberley and courses are delivered over two evenings targeting junior and senior community coaches. The AFL Level 2 Coaching Accreditation is for coaches who have extensive coaching experience at the community level or higher. Coaches that work with high performance programs and state level competitions are required to be Level 2 accredited. The Level 2 Accreditation course is delivered annually in Perth. Netball coaches in the Kimberley can be assessed at various stages throughout the year including the North West Championship. For more information on the netball Level 1 coaching accreditation visit the Netball WA website or contact Jane Edwards, the Garnduwa netball specialist. The Softball specific Level 1 Accreditation is delivered by Softball WA. Courses are delivered regularly in the metropolitan region and have been delivered in the Kimberley region in previous years. For more information on dates, venues and enrolment information visit the Softball WA website or contact Annie Dann, Garnduwa’s Women in Sport Coordinator. Basketball WA delivers a Level 0, 1 and Advanced Coach Accreditation courses. The Broome Basketball Association also has development opportunities available to volunteers. For more information on the development needs and opportunities for basketball coaches, visit the Basketball WA website or contact your local Garnduwa office. The West Australian Cricket Association (WACA) delivers coach accreditation courses in the metropolitan and also regionally. For more information on the requirements of the course and further details visit the WACA website or contact your local Garnduwa office. Athletics WA deliver a Level 1, 2 and 3 Coach Accreditation. For more information visit the Athletics WA website or contact your local Garnduwa office. Football West delivers coach development courses and seminars for coaches at various levels of participation. Former Perth Glory captain Jamie Harnwell services the Kimberley region frequently and has delivered skill development workshops around the region. For more information on local coach development opportunities, contact the Broome Soccer Association and for further coaching information visit the Football West website or contact your local Garnduwa office.